Depending on your divorce, it is possible that you have embarked on one of the most difficult emotional journeys of your life. While you know that you’ll come out just fine on the other side, getting to that finish line can take a toll. Remember: you don’t have to do this alone. You are surrounded by people in your life who care and want to be there for you. As you share your news with those closest to you, you’re likely going to hear the words: “Let me know if there’s anything I can do to help”. That answer isn’t a cop-out. (Although it would probably feel better if they could understand what you need — without you having to speak up.) Nevertheless, we like to think of those words differently: as a request in disguise that can be translated as: I need you to tell me what I can do to help you, because I’m not sure what you need, and I don’t want to overstep your boundaries. Sometimes the hardest part is letting those people know how to help. The best way you can help others to help you is to think in advance about what you want and need, so you can communicate that up front, when you tell people that you are going through a divorce. (Yes, you can ask for support! After all, you’ve probably been there for your loved ones a thousand times over.) We have a few ideas on how to kickstart that conversation. 1. Decide what kind of support you want. Communication At the end of a long day, how would you be happiest to hear from someone? An email? Being tagged in a social media post? A surprise phone call? An old fashioned letter? How often do you enjoy hearing from people? Weekly? Once a month? How much is too much? Action Identify at least three things that you’d be comfortable with a nearby friend or family member taking off your plate. Picking up the kids from soccer practice? A free hour of babysitting? Dropping off dinner? A discount coupon to their favorite meal prep service? A surprise visit with a bottle of wine and a box of tissues? Have three concrete actions on hand that you know will truly help you, and you’ll be ready to suggest at least one of those actions the moment your loved one asks what they can do to help. Can your loved ones help you share the news, so you don’t have to have the same conversation again and again? This is a great way to have close family and friends help you. Just be sure you let them know what you’d like them to say, and how they should plan to respond if extended loved ones want to reach out, or to help. Expectations Think about the boundaries you want to set. If you have a friend or family member that might go overboard in responding with helpfulness, it will be better to set boundaries from the moment you share the news, rather than having a difficult conversation down the road, in an already difficult time. Think about how often you plan to communicate about your divorce. Letting people know that you’ll keep them updated as events progress, or letting them know that you’ll be in touch to let them know when the divorce is final will help signal to your loved ones how often they should expect to hear an update from you. 2. Decide who needs to know your news, when. Your children They will be impacted most, and have a right to hear about your divorce directly from you. Keeping them informed and in the loop can help assure them that everything will be okay in the end. And, keeping them informed of your plans to communicate with others could help ensure that you stay in control of the message, when it gets out, and to whom. While it’s usually best to plan and time what you say with your spouse, that’s not always possible when your ex is being uncooperative. Remember, you can’t control everything your spouse does or says, but you can be mindful of what you tell your kids. Be loving and consistent — remind them that you are OK and they will be too, and they will absolutely get the message. Your parents and grandparents If you’re close with this audience, telling them sooner rather than later is a given. If you’re not, think about how you’d feel if they heard the news from someone other than you — because as word gets out, this is likely to happen. Extended family (aunts uncles, cousins) Will you see members of this audience at upcoming holidays or birthdays? They’ll definitely notice if your spouse is not in the room. Your close friends They might be the first group you tell, before anyone else. Make sure they know how much or how little they should share, in case they are approached by someone else in your circle. 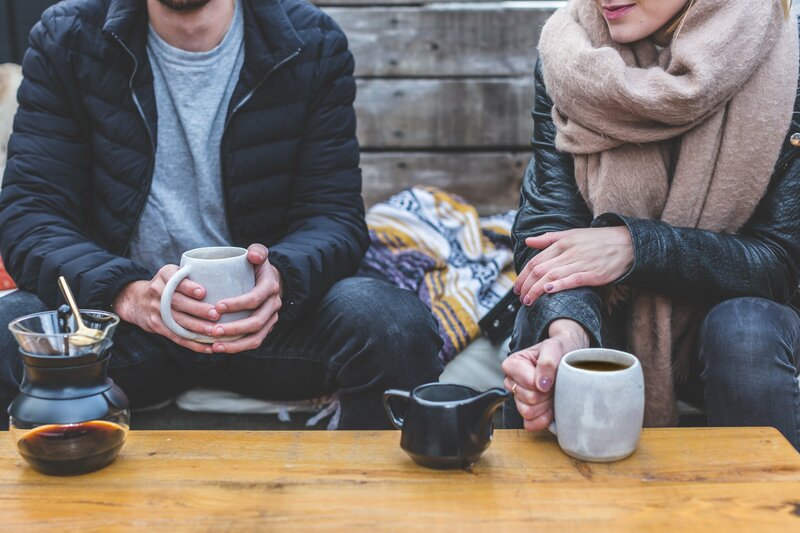 Mutual friends with whom you’d like to remain friends Divorce will change the way you interact with mutual friends, but it doesn’t have to end it. Let your mutual friends know that you want to stay in their lives, and plan to keep them in yours — and that you expect them to remain friendly with your ex as well. If you need to take a ‘break’ from some of them, that’s okay, too. Parents of your children’s friends Depending on your relationship with your soon-to-be ex, you might need to let parents of your children’s friends know about your situation. This could help avoid awkwardness or miscommunication about play dates or shared rides to/from extracurricular activities. Your boss or direct reports If you will need to be out of the office frequently for mediation or court proceedings, it might be better to come clean from the outset rather than risk becoming the focus of office gossip. 3. Develop a plan to share your news. Now’s the time to break out the pen and paper. You’ve already thought about what you need in terms of support, and who needs to know your news when. Now is the time to be thoughtful about how you tell close friends and family about your divorce. 1. Tell people you’re open to help during this time, if you are. This opens the window for friends/family to ask you how they can help — and that’s when you break out your handy list of 3 or more ideas. 2. Tell people how you plan to communicate with them, or how they should communicate with you. For example: I’d love to hear from you, but I know you’ll understand if I prefer not to talk about this difficult process on a regular basis. I’ll definitely let you know if I need a shoulder to cry on! Otherwise, let’s catch up about happier topics — hearing from you every few weeks will give me a much-needed break from this process. 3. Let them know what they should or should not say to others about your news. For example: This news is really hard for me to share, so I would actually appreciate your help in spreading the word. That will save me the pain of having to tell this story again and again. Or, This news is hard to share, so I appreciate your confidence. I’d like to be the one to break the news to x, y, z so they hear it from me first. You got this. Just remember: this is your divorce, it’s your news to share, on your terms. But if you give your friends and family a little insight into your wishes, you’ll make it easier for them to help you the way you want to be helped. Follow Erin for daily inspiration, tips and resources on Twitter at @HelloDivorce.